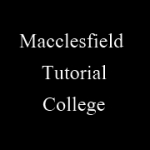 An independent college, Macclesfield Tutorial College, offers students the opportunity to study GCSE and GCE courses. There is an extensive range of subjects to choose from and the college is served by an excellent staff of experienced teachers. At Macclesfield Tutorial College there is a philosophy which believes in providing a high quality of teaching together with encouraging students toward conscientious and diligent study that can produce the desired outcome. Our tutorsâ€™ experienced approach to teaching allows students their best prospect of academic success. The college is open to all ages of student. GCSE courses are usually taken nationally at age sixteen and AS at seventeen and A2 at eighteen, but there is no age restriction at MTC, and younger and older are encouraged to partake in such courses. The collegeâ€™s stimulating learning environment encourages students to gain the qualifications that they need to progress to university, the professions and wider employment. Education is a continuing process and students are constantly developing their interests. Macclesfield Tutorial has been extremely successful in preparing candidates for medicine and veterinary science. It has also aided good University graduates to gain acceptance to courses in medicine by gaining excellent grades in Chemistry and/or Biology GCE A Level within one year of their university graduation.